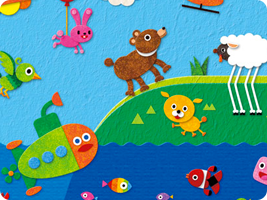 Build your own "Formee" creatures and explore the world. Collect more body parts to create more Formees with special abilities that will allow you to explore all new areas, play new games to find even more body parts, and so on. Freakyforms allows you create and share your Formees wirelessly or online, create landmarks and customise your world.